Analyst Views: Your trusted source for target levels. Adaptive Candlesticks: Your view into bulls & bears. ADC: If you like MACD, you'll love this indicator. Installation: Download and run, quick and easy. Operation: Drag onto your charts & get started! Our MT4 installer cannot be accessed from a mobile device. To download, please visit from your computer. Improved user experience: We've updated the look and feel of our indicators to ensure our analyses are always legible and accessible. Focused Analytics: We've condensed our research to three analytics which we felt best represented the markets... then we perfected it. Automatic Software Updates: Our new installer ensures you're always operating on the newest and best from Trading Central. Our Analyst Views indicator is your go-to source for direction and key levels. Trading Central is always there with a directional perspective on every chart based on our award-winning technical analysis methodology. Leave the analysis to the experts, and use the output of our analysis to craft your trades. Get an instant viewpoint on our preferred direction along with target levels. 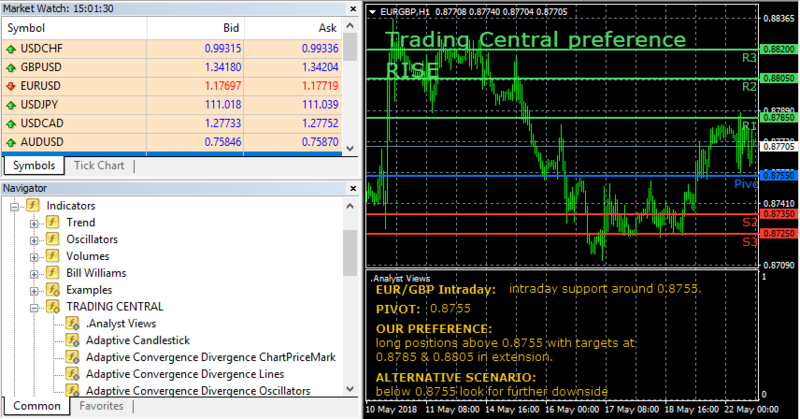 Discover our alternative scenario based on a pivot level where we would change our view and offer target levels in the opposite direction. 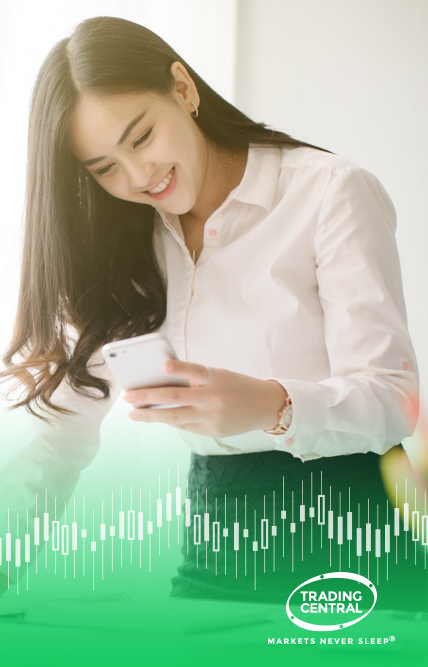 Traders love candlestick charts, and now get instant access to the candlestick patterns that illustrate important changes in supply and demand lines and the struggles between buyers and sellers. 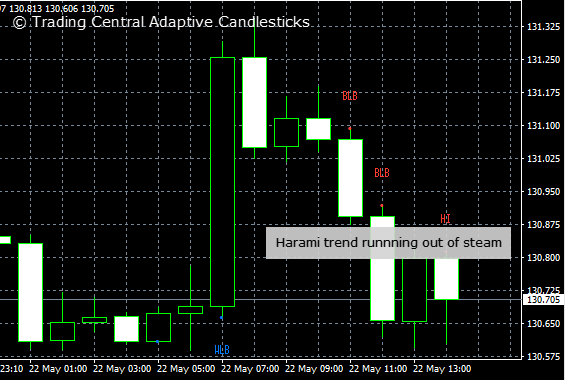 This MT4 indicator scans for sixteen of our favourite time-trusted candlestick patterns, instantly on any chart! We combine candlesticks with our unique quantitative and technical analysis expertise to focus in on only those patterns that are relevant for decision making based on current context. If you like MACD, you'll love ADC for your short-term trading! 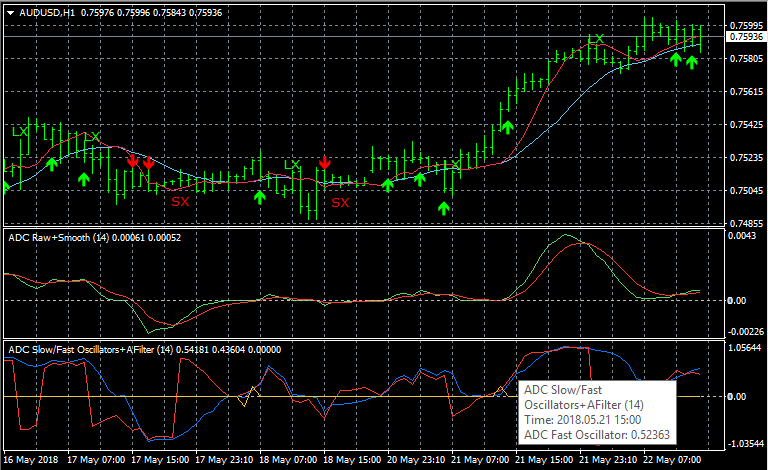 It's useful at shorter lengths than MACD and offers more timely signals, while also guarding against sideways movements by adapting and lengthening during such periods. Labels help you spot trading opportunities: ↑ (long), LX (long exit), ↓ (short), SX (short exit). 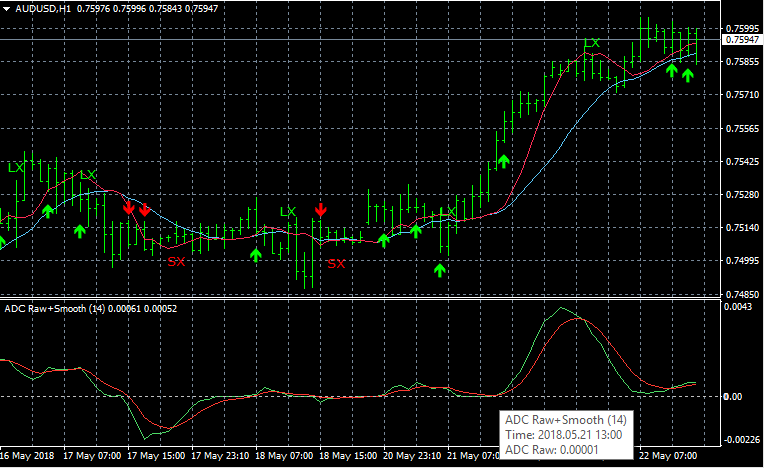 Signals are based on the status of all ADC components including price lines, indicators and oscillators. While these components all derive from the same adaptive "window" of market data, they do have some independence from each other so we can make decisions based on weight of evidence. 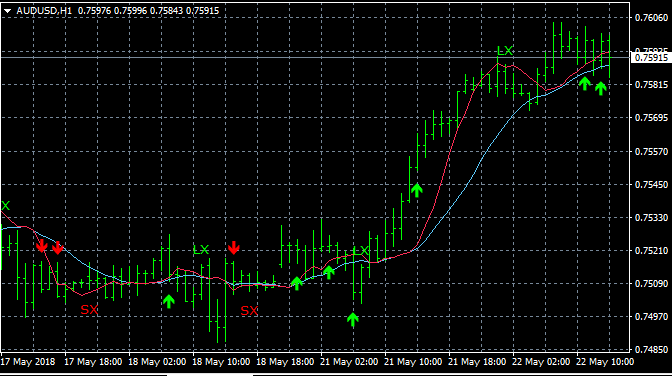 We use a front-weighted moving average for the slow indicator. 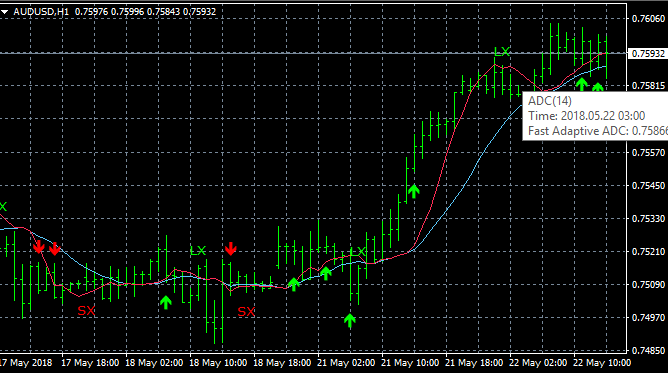 The fast indicator emulates variable length weighted moving average—shorter in trends, longer in sideways markets. These can be used as other moving averages to offer slow signals by confirming the trend: look for lines sloping up and fast line above slow line; or price crossing above these lines. These indicators are the basis for other ADC components. For fast signals, look for upward sloping lines and ADC raw above ADC smooth as your buying signal. For slow signals, look for both ADC raw and smooth to be above 0. Like the MACD, the raw signal line plots the difference between slow and fast indicators (divided by slow) and this is smoothed with exponential averaging, but in this case we find the smoothing length automatically, typically around 4 unlike MACD's 9. ADC has two compatible oscillators. For fast signals, look for the fast oscillator to be sloping up and above zero. For slow signals, look for the fast oscillator to be above the slow; or look for the slow oscillator to be sloping up, below the fast oscillator, and above the adaptive filter. Download the MT4 plugin from your desktop and go through the easy installation process to get up and running immediately. This plugin is available to customers of licensed trading and brokerage firms. Please contact us if you need help. Download the MT4 plugin and go through the easy installation process to get up and running immediately. This plugin is available to customers of licensed trading and brokerage firms. Please contact us if you need help. Download the plugin file from your desktop and double-click the file to execute it. A simple wizard guides you through the process in your language of choice. Download the plugin file and double-click the file to execute it. A simple wizard guides you through the process in your language of choice. Upgrading from our previous plugin? 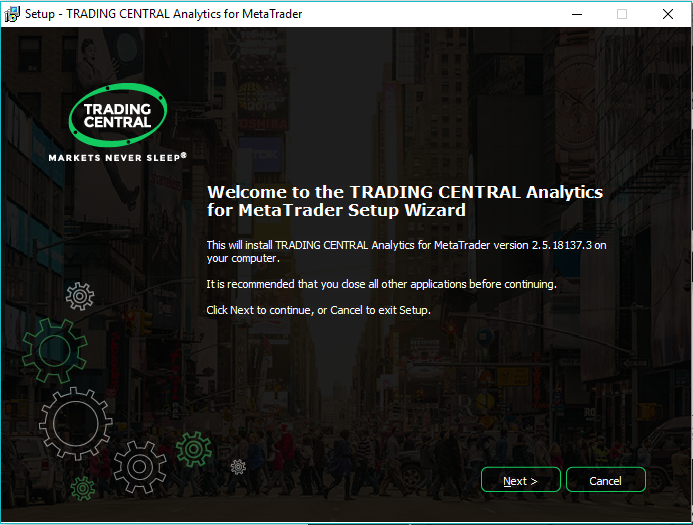 Have you already installed previous versions of MetaTrader plugins from Trading Central? You may require Admin rights using the new wizard to uninstall previous versions. Please contact us if you need help. 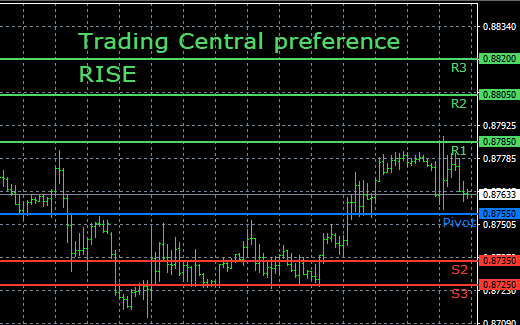 After running the installation program, you'll find Trading Central indicators alongside others. 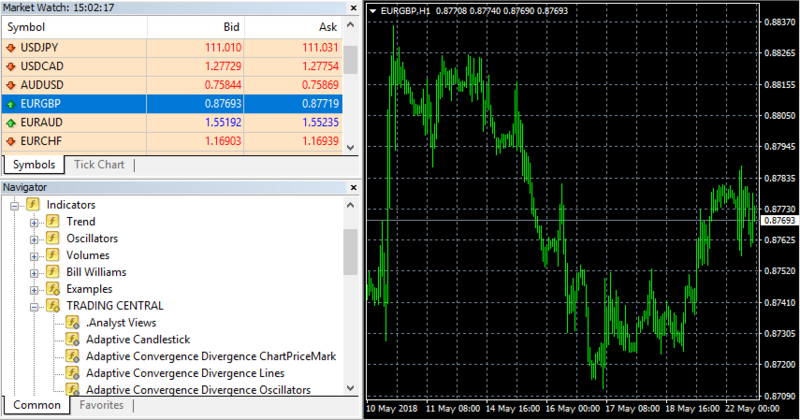 Locate Trading Central indicators along with the others in your MetaTrader indicator list. 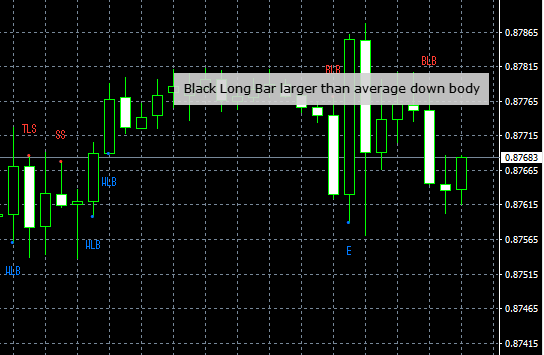 Simply drag an indicator onto the chart and get actionable insights immediately! Get started with our original Analyst Views indicator.